Angels reside in Romantic Homes! By applecupcake on February 5th, 2011 . Filed under: Cupcake Ideas . 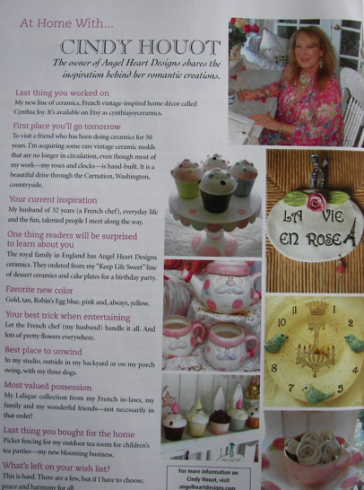 That’s right, last issue, one of our Sponsors Angel Heart Designs was featured in the popular Romantic Homes magazine. The issue hit the stands in mid November and featured a full page about the very lovely Cindy Houot, who runs Angel Heart Designs. 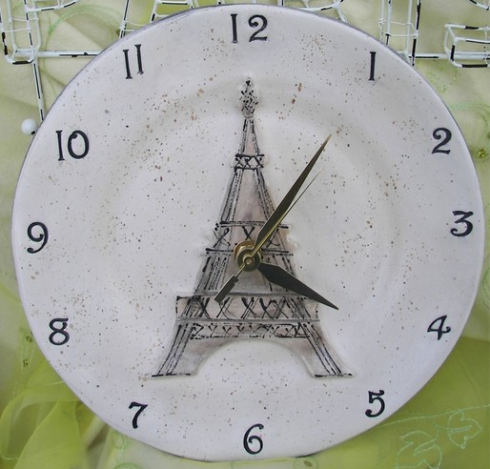 It was an exciting month for Cindy, not only in relation to the magazine article, but she also announced the very exciting new line she is stocking which are all French inspired ceramics such as this beautiful clock. The range is called Cynthia Joy Ceramics, so keep an eye out for them, but in the mean time you can read more in the article!